Tim Hortons's annual "Roll Up the Rim to Win" contest has become a highly anticipated late winter/early spring tradition for countless Canadians. But sometimes it's not easy to roll up that rim without ripping the cup, wrecking your nails, or resorting to using your teeth. That's why Ottawa's Paul Kind has invented the Rimroller: a tiny plastic device that makes the task simple. In this 2007 CBC-TV news clip, we see the Rimroller in action and hear the excited reactions of Tim's coffee fans. • In 2018 the Rimroller was available for sale at Lee Valley Tools. Lee Valley's website sings the virtues of the device: "Each sale is the business equivalent of applause, and we think Mr. Kind deserves a standing ovation." • The annual "Roll Up the Rim to Win" contest began in 1986. • The contest generally begins in late February or early March, and lasts until the cups run out (which is often in April or May). The prizes for 2008 ranged from big-ticket items like a Toyota Matrix car or a Bayliner Bowrider boat, to small items like a free coffee or doughnut. Burger King has bought Tim Hortons, and together they will be part of the world's third largest fast-food company. Brimming with caffeine and nicotine? CBC's Disclosure takes a fun look at the urban legends surrounding the addictiveness of Tim Hortons coffee. Will heavyweight Krispy Kreme step on Tim’s toes? Wendy's buys Canada's top doughnut chain for $400 million in a high stakes deal. The city of Moncton has more Tim Hortons stores per capita than anywhere else in the country. Following his tragic death in a car crash, Horton's funeral draws a huge crowd of mourning friends, family and fans. 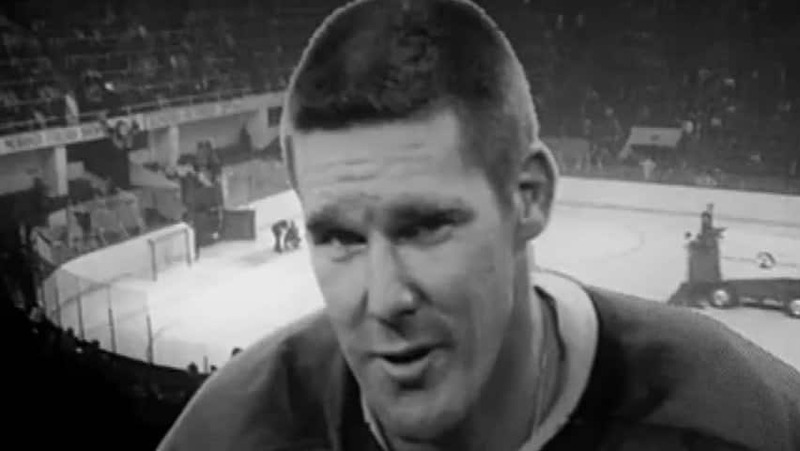 Right after his team's victory, the strapping Toronto Maple Leaf talks about his emotional reaction to winning the Stanley Cup.